Oh gosh! 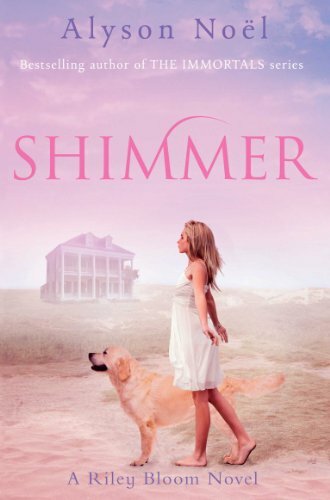 I loved Shimmer! It was so cool! I had no idea, how the problem would've been solved! I never would have though of that! That girl is insane! I mean, can't she be a bit more open minded?! Well I get that she's mad but really?! Did she have to be so mean to all of those people?! It's insane! They were trapped and had to live their greatest nightmares over and over for who knows how many years?! It just really angers me. Riley is super cool. And she overcame the situation again. However, she still has a ton of trouble and doubt and such since she is only a twelve year old girl! She's only human... Well, a dead human. :P Either way she's super cool. Rebecca is a really annoying. And yes she is the girl who I was complaining about in the beginning of this review. So basically, I don't like her. She's just really rude, and confused. And I do have sympathy for her, because of what had happened to her. That would be really sad. I'd be crying. All together I liked this book, though it just isn't one of my favorites. Does this book reach my high expectations? Yes it did. Though, it could be better. Would I recommend this book? And to who? Yeah, I would. To all the others who have read the previous book in the Riley Bloom series.